If you need to get your student set up with an instrument for the school year so can cultivate their newfound excitement for music, or if you need a PA system to rent out for the weekend so you can have a memorable toast at your best friend’s wedding, we’ve got the gear for you! Our diverse line of greatly maintained equipment will be there to help you out when you need it most! We provide long term Rent-to-Rent contracts with great line up of band and orchestral instruments. 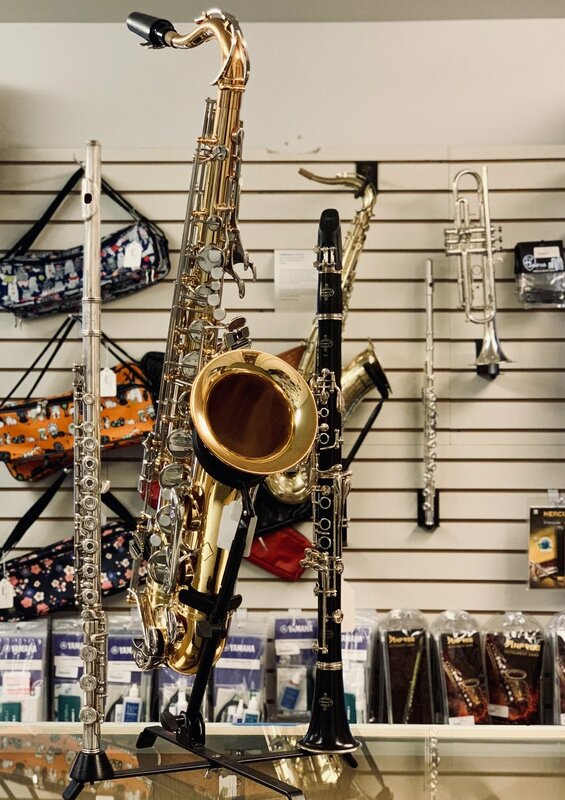 With a month to month payment plan and credit incentives for the purchase of a brand new instrument, our program is geared to help you dip a toe into the instrumental world and discover if the water is right your temperature! Details are available in our Rental Guide, linked below. Fill out your application before you arrive to save yourself some time at the register! Additional questions are happily answered by calling us at +1 907-376-4006. Our short term rental program consists of a number of options for your professional audio needs. From wireless microphone kits to PA speaker systems, we have what you need to host your event. We have daily rates and weekend rates available to view in the link below. Fill out the form below to request a reservation, and we’ll be in touch to confirm your reservation. Have a specific question about our rental programs? Drop us a line and we’ll happily address any questions you may have!